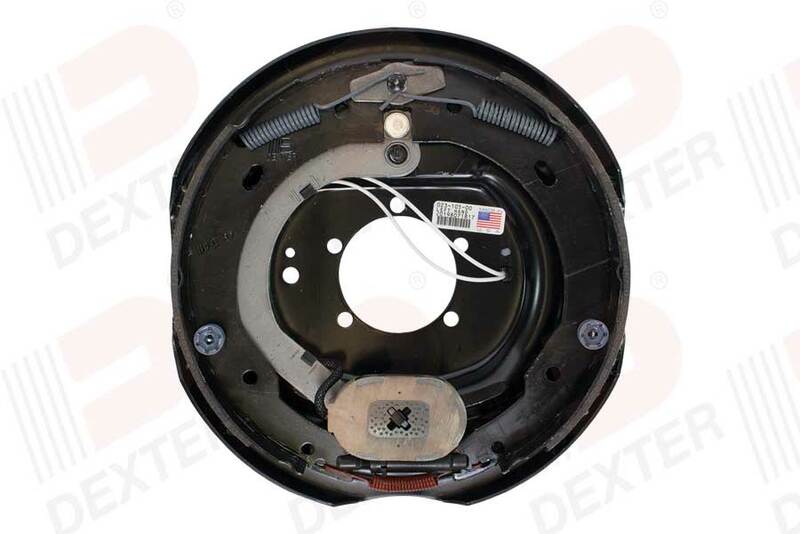 DEXTER 12" x 2" Left Hand complete electric brake assembly. Sold individually. Used on 5200LB and 6000LB axles. A: The lining thickness is the same on the front and rear shoe, however the front and rear shoe lining are different lengths. The thickness is 3/16 of an inch.